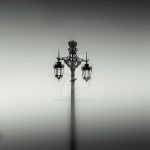 Photos of lanterns and lamp posts I've been collecting for some time. Enjoy! Aha, again another creative idea of feature. Great job! Thanks for featuring my work. Not at all, the pleasure is mine! thanx so much for the feature! lovely collection! very very beautiful collection ! amazing collection, thanks a lot! You chose a lovely theme for a feature and your selections are really lovely Aga! Thank you so much for including me too! Thank you very much ! Lovely features ! nice collection , thanks for including! no problem, it's a nice photo! I found many which I'm going to check. Lanterns and Lamp Posts VEnjoy the photos and don't forget to fav them! Knobs and HandlesEvery single one is unique and interesting in its own way! Lanterns and Lamp Posts III wasn't planning this, but since I found some more beautiful deviations from this category, here's part II of the "Lanterns and Lamp Posts" feature Enjoy! Lanterns and Lamp PostsPhotos of lanterns and lamp posts I've been collecting for some time. Enjoy!